Another example of the presence of organized religion in North Berkeley is the recently renovated home of the Capuchin Franciscans on the west side of Arch Street north of Cedar. The friars, if that's what they're called, are noticeable for their long robes with rope ties. Are they affiliated with the Franciscan School of Theology on Euclid, nearer to campus? I'm not sure. Something wonderful, though, about having friars in your midst, like the Buddhist monks I sometimes see on BART, dressed in traditional clothing. 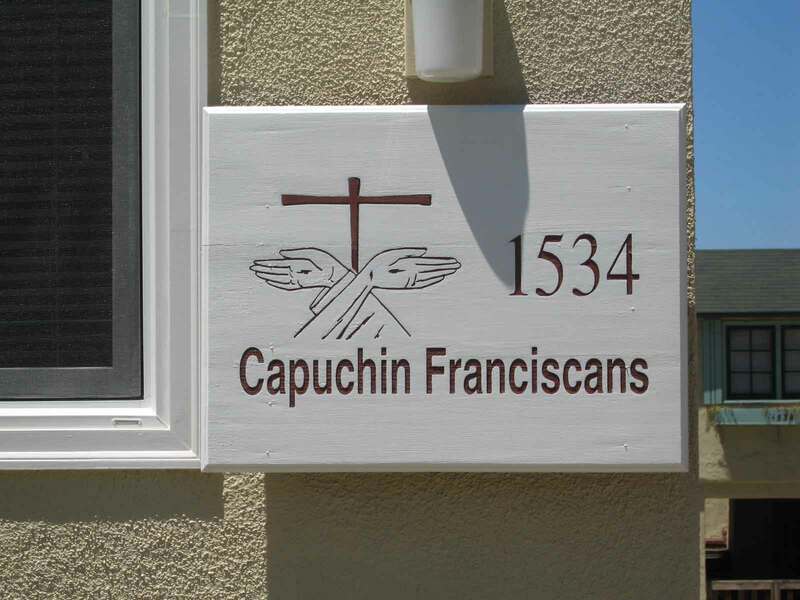 Other than the sign, the Capuchin Franciscans' dwelling place looks like a two-story apartment building, which indeed it is.